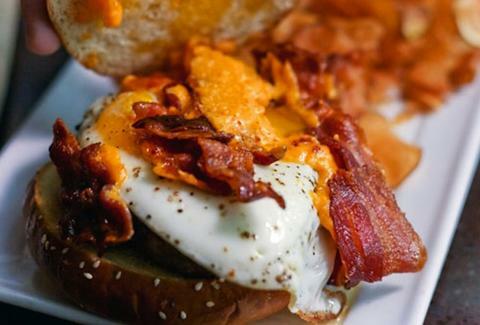 Chicago With our swimsuit season winding down, it's time to start focusing your attention on our eating-all-the-burgers season, which we're helping you kick off by listing all the top this-month-only Chicago burgs. Get on it. 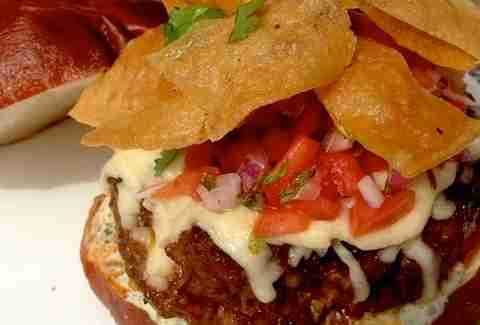 Kuma’s (Avondale): Kuma's specialty burger this month stuffs a standard Kuma’s patty with chorizo (wut) and jalapeños (WUT), then tops it with cilantro aioli, Chihuahua cheese, pico de gallo, and tortilla strips. 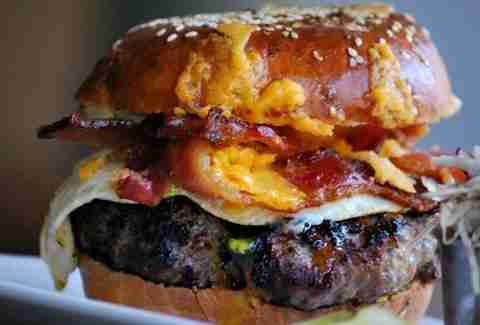 DMK Burger Bar (Lakeview): The already-impressive selection of burgers from DMK expands this month with the release of "The Cuban Extreme", available from August 24th-30th. 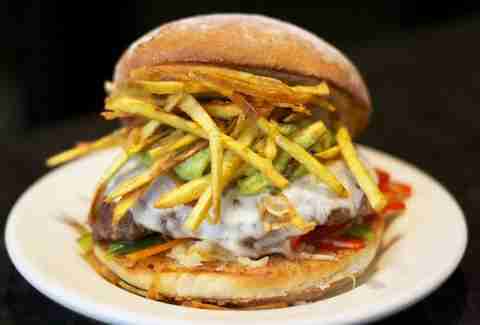 This one comes topped with minced pineapple, spicy plantain chips, provolone cheese, red, green & orange peppers, and guacamole. Mindy’s Hot Chocolate (Wicker Park): They may be best known for their hot chocolate, but this Wicker Park resto offers up one seriously impressive slab of beef. As if that weren’t enough, they top it off with organic bacon, cheddar, and house-made pickle, all served on a garlic-toasted sesame bun. Make it brunch-worthy/regular-worthy by adding a sunny-side-up egg. 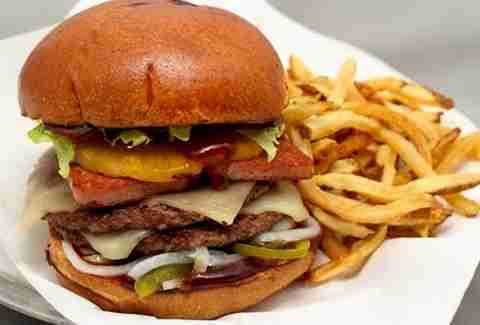 Burger Bar (Near North Side): Satisfy your steakhouse cravings and your need for carbs AT THE SAME TIME with Burger Bar’s "Steakhouse Stacker". 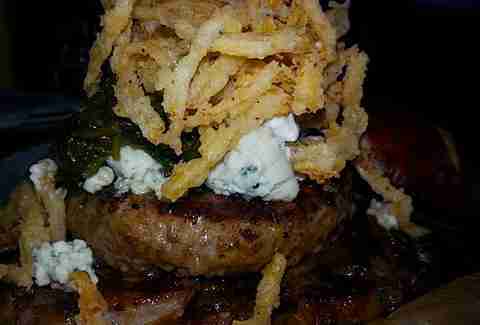 It’s a decadent burger masterpiece that stacks a half-pound Angus patty on top of a rib eye steak (for real), and rounds it all out with bleu cheese, horseradish, crispy onions, and garlic spinach (#guiltfree). It’s all served up on a pretzel bun. Because really, could any other type of bun handle all that goodness?